The Google AdWords Editor 12 update has only been in effect for a short while and online advertisers and marketers are already raving about the vast improvements and additions that have been made. You now have greater freedom to run all of your ad campaigns according to your own standards by implementing custom rules that suit your needs. AdWords Editor 12 is intelligently designed to make navigation between multiple ad campaigns seamless and it also allows the installation of responsive ads, it has greater bidding support, and improved multimedia UAC support. Google is always looking for fresh and innovative ways to improve upon its preceding ideas and software and the AdWords Editor 12 update is no exception to this rule. Of course, it’s also not the last straw. Given the fact that technology is constantly changing faster than the speed of light, there’s no doubt that future updates and enhancements will always be in the works. But, for now, let’s just focus on the latest one in all of its high-tech glory. Here’s everything you need to know about the latest version of Google AdWords Editor. The new version of AdWords Editor comes with a variety of features that are meant to simplify your workflow and make it easier for you to keep track of all of your tasks that are related to each ad campaign. The extensive multimedia UAC support allows you to upload up to 20 videos and images at a time. Another useful new feature is the ability to customize responsive ads to meet the needs of your marketing protocol. The following new options are now available to make your ads more visible on search engine results pages: promotion text, call to action text, 4:1 logo, and price prefix. It’s not surprising that AdWords Editor 12 supports conversion bidding because Google actually launched this feature earlier this year as part of the web versions of AdWords. This is an excellent feature to add to your ad campaign strategies because it essentially takes the guesswork out of setting a bid amount for your ad campaigns. Google analyzes the previous data collected from your previous ad campaigns in older versions of AdWords Editor and it uses that information to suggest the best bidding amounts to help you track, maintain, and even lower your PPC costs. Of course, you can adjust the bid amounts to your liking if you disagree with what Google suggests. Google has concocted a customizable list of rules that advertisers can incorporate into their app’s campaigns. These custom rules will help you keep track of which best practices are working for your specific campaigns and which ones are in violation of Google’s regulations. Every time one of your actions goes against what Google considers a best practice under the specifications you provide in your settings, it’ll send you a notification or an alert in the form of a yellow hazard symbol with an exclamation point in the middle. 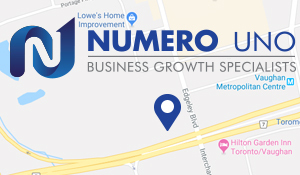 Numero Uno Web Solutions is a respected Google advertising partner and we’ve helped countless businesses build, maintain, and enhance their online branding to attract a new generation of prospective buyers and clients. Our foolproof formula has the power to entice customers on a global scale and create meaningful leads that successfully convert into sales. Canadian and American-based companies alike have greatly benefited from our SEO expertise and we’re always looking to expand our already impressive repertoire to include new markets. To learn more about how our SEO strategies and how we can help elevate your company’s online presence and improve your search rankings, please contact us.